Ebayers are going underground – with a cluster of caves up for grabs on the online auction site. Bidding for the 28-acre Mystic Caverns in the hills of the Ozark Mountains starts at $899,900 – slashed down from the initial asking price of $1.2million. The package includes three caves – two of which are safe to go into, and a gift shop for visitors. 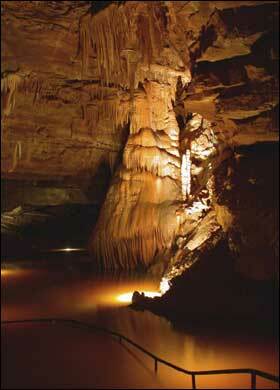 Current owner Steve Rush bought the property in 1988, giving tours of Mystic cavern and Crystal Dome cavern. The third cave – Not Much Sink cavern – is too dangerous to enter.